World Book Day 2016 takes place on Thursday 3rd March, a day to celebrate the wonderful world of books and authors. Books have a way of touching our lives, starting from when little ones are just starting to read like Tigger who is now seeing the world differently now that he can read. Moving on to Roo, the child who likes to read and is loving the different worlds that are created within the pages of her story books. To the adult who likes to find new novels to read but will always go back to the classics that she loves. 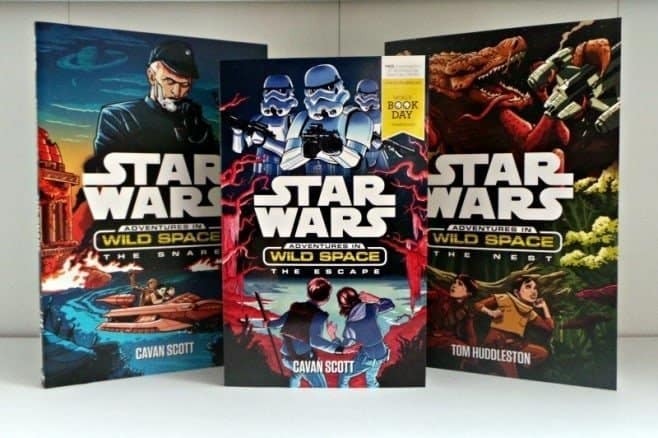 This World Book Day we are celebrating Star Wars style, with new Egmont Star Wars books to read and interactive with along with creating Star Wars costumes. Released last month the new Star Wars: Adventures in Wild Space books were released and alongside The Snare and The Nest, The Escape has been announced as one of this year’s World Book Day £1.00 book choices – making the book a popular choice for all Star Wars fans who are keen to get in on the new Star Wars: Aventures in Wild Space action. 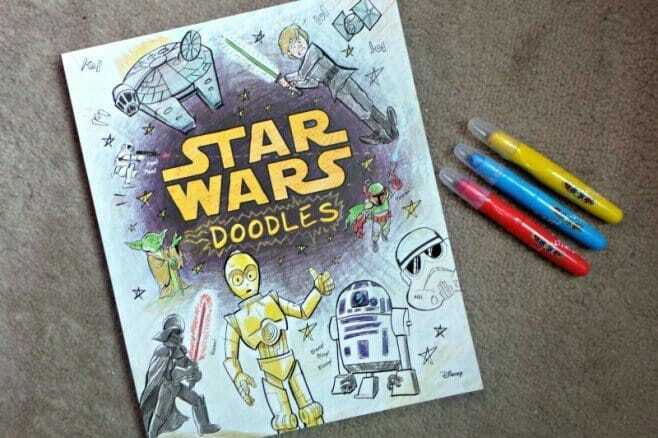 The Star Wars: Doodle book offers that creative outlet for any Star Wars fan, full of different activities from colouring and design it is sure to keep them entertained. At just £5.00 is offers great value too! What better way to celebrate World Book Day with Sa Star Wars theme than make your own X-Wing and Tie Fighter. This Fabulous book comes complete with foam pieces to make your own Star Wars starfighters, along with instructions and other activities to keep the kiddies occupied. Priced at just £4.00 it makes a great creative book for world Book Day. Please pop along to Emmy’s Mummy to see how she is celebrating World Book Day and having fun with Star Wars books. A combination of last-minute notifications from the school and a dash of procrastination means that World Book Day costumes are a last-minute affair. 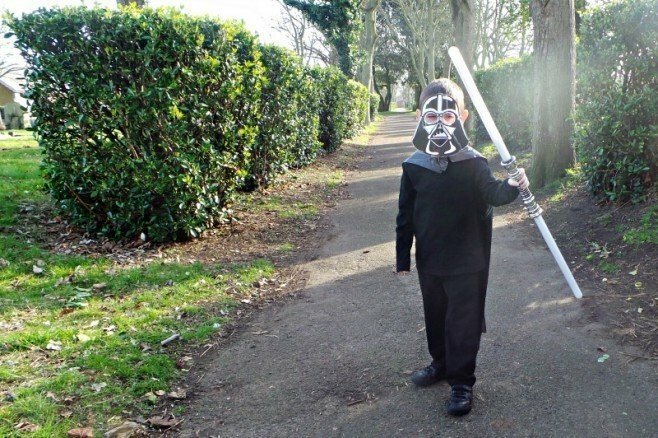 So I wanted to show you how to make last-minute Star Wars costumes using items from around the home. They are all centred around printable Star Wars masks which you can simply print off, stick on a piece of cardboard to add some rigidity to it or laminate like I did. 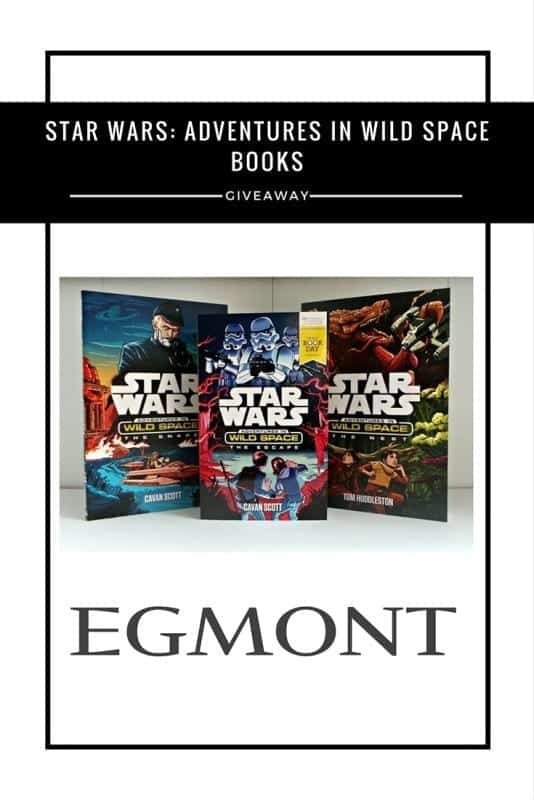 To celebrate World Book Day, Boo Roo and Tigger Too have teamed up with Egmont to offer one lucky reader the chance to win a set of three Star Wars: Adventures in Wild Space books. The nest book looks good. The Escape looks good. We are reading all the How to Train Your Dragon books. I like my sisters keeper! My grandson likes the sound of The Snare. My favourite book is A Thousand Splendid Suns, I recommend it to everyone, absolutely breathtaking story. My son loves anything to do with Roald Dahl or the Diary of A Wimpy Kid books… oh and his minecraft manual. 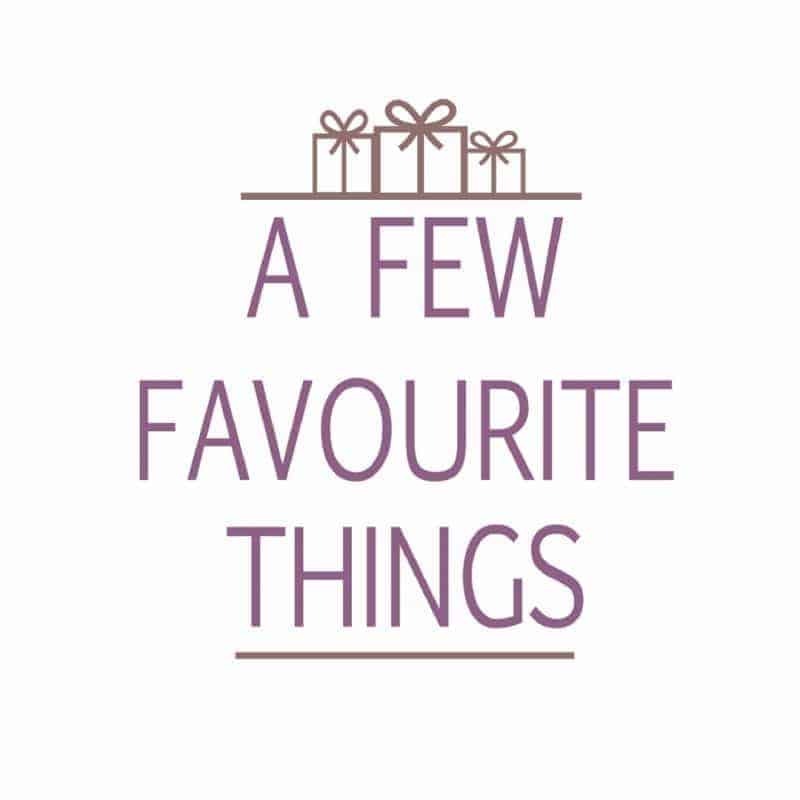 My personal favourite book is Flowers in the Attic by Virginia Andrews. My favourite book is A Suitable Boy by Vikram Set, an amazing read. I am so glad my 4 year old daughter also has inherited my love of books. She doesn’t have a favourite book but loves to read and to be read to. My favourite book is Jane Eyre. A recent read The Health Gap by Michael Marmot. I love the Dark Tower series by Stephen King, amazing storytelling. The Little House series, especially These Happy Golden Years. 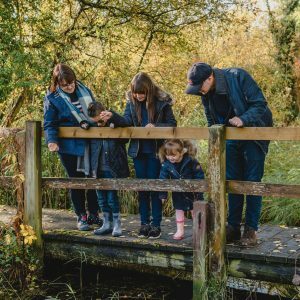 Stick Man – My little boy LOVES it! My favourite book is One Flew Over the Cuckoo’s Nest by Ken Kesey. Catch 22. It always makes me think. It Shouldn’t Happen to a Vet by James Herriot is my favourite book. Loved all Jane Austen Books . As a child I loved Noddy, but now i’m into Jack Reacher (Lee Child) crime series. I really enjoyed reading the Virginia Andrew books. A Piece of cake by Cupcake Brown is a great read too. The Hobbit – Fantastic book all these years later. 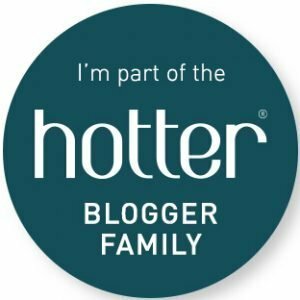 Disclaimed – Renee Knight or Mr Forgetful when reading with my 4 year old! can’t beat the Harry potter series! The Enchanted Wood. Enid Blyton. Ive already bought my 11 month old all the stories (the faraway tree etc). I cant wait til she is old enough to read them. 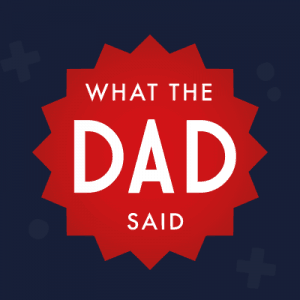 My son and I have read the Harry Potter series of books many times. My son has Asperger’s so we both have to be reading the same book at the same time (we have 2 copies of each!) then after all the books have been read, we have to watch the films, all in one day! !